British farmers have been urged to use branding to set their red meat produce apart from an influx of “cheaper alternatives” in a post-Brexit economy. They were also assured the British meat industry could maintain strong exports once the UK leaves the EU, and that there was significant potential for growing domestic demand. 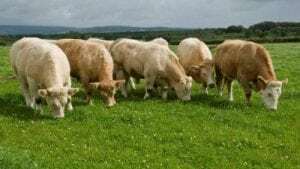 The comments were made by keynote speakers at the conference of the UK’s Livestock Auctioneers Association (LAA) and the Institute of Auctioneers and Appraisers in Scotland (IAAS) recently. Quality Meat Scotland Head of Economics Services Stuart Ashworth told delegates that “price is not always the most important factor”. Agriculture and Horticulture Development Board Market Intelligence Director Phil Bicknell was upbeat about opportunities within the British market. Euro Quality Lambs Senior Director Rizvan Khalid highlighted how global Halal spend was $1.2 billion (€1.1 billion) in 2015 – 16.6% of total food expenditure. He said: “By 2021, this figure is expected to rise to $1.9 billion, representing a huge market potential for UK farmers. Meanwhile, Conservative Party Peer Lord Daniel Finkelstein recently warned that it would take 10 years for the UK to introduce fundamental agricultural policy reforms post-Brexit.